"We make owning rental properties simple!" Looking for Property Management in Kentwood, MI? Kentwood, MI is a diverse suburb of Grand Rapids, sitting east of Wyoming. Here’s everything you need to know about property management in Kentwood. Located in Kent County, this suburb is home to over 50,700 happy residents. Millennials and people of various backgrounds move to Kentwood in search for a great suburban community within drivable distance to downtown life. Kentwood boasts a beautiful environment, top-rated schools, low crime, and plenty of amenities for its residents. Unique shops, restaurants, and breweries are all easily accessible. In addition, residents can visit nearby attractions such as Craigs Cruisers, which is a fun park offering go-kart rides and mini golf. Other activities include taking a run or bike ride on the Kent Trails, which expand from Wyoming all the way to Grand Rapids. When it comes to investing in real estate, Kentwood is one of the best places to pick. In fact, it was listed as the hottest housing market in the county by Realtor.com. According to the website, homes in Kentwood were incredible quick-selling, with the average home sold in just 20 days. This shows in Kentwood’s housing market statistics. The city has experienced a 17% year-over-year rise in sales. Perhaps one of the biggest reasons Kentwood real estate is thriving is because of millennials. Many millennials move to the Grand Rapids suburbs in search of affordable housing near the city. This also leads to higher demand for rental property. In fact, over 40% of Kentwood residents are renters. So, if you’re going to invest, rental property is the way to go. 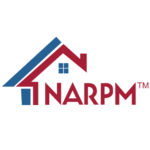 If you’ve already decided to invest, the next step is to find a reputable property management company. Each housing market comes with its own set of challenges. Dealing with so many demands can become a full-time job for homeowners. Thankfully, Simple Property Management can handle these challenges for you. We are a locally-trusted team of experts specializing in Kentwood property management. Never settle for a property management company that claims the world, but delivers mediocre results. Choose Simple Property Management and get a team that will help your investment for years to come. When you have a vacancy on your hands, rest easy with the experts on your side. We market your property using proven marketing techniques to find the right renter, fast. All applicants for our rental homes must meet our strict screening requirements. 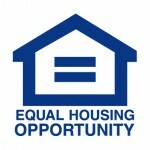 We qualify tenants using background, financial, and reference checks. When maintenance trouble arises, our team is ready to jump into action. We coordinate repairs with tenants, dispatch service providers, and make sure the job is done correctly. It's easy to access your monthly earnings with our streamlined accounting process. We collect all funds for you and deposit them directly to your bank account. Property visits allow us to carefully monitor what's taking place inside your home. If we identify issues during our inspections, we immediately address them. Our team creates monthly reports for your rental home, documenting all income and expenses for your property. You can access these reports inside your online account. We strive to maintain healthy relationships with all tenants, but if a renter ever breaks their lease or becomes uncooperative, we'll help you navigate an eviction. Don't find yourself in a bad spot because you've overlooked one of the many laws or ordinances that impact your home. Let us keep your property in line with the rules. Why Choose Simple Property Management? We understand you want to stay abreast of the latest circumstances impacting the health of your real estate investment. We do everything possible to keep you in the loop, and we respond to your emails & phone calls promptly. We're no longer living in the 1980s, so why do so many property managers still use paper statements and classified ads to run their businesses? At Simple Property Management, we've embraced tools like online account portals and digital property listings. These tools keep us efficient & help us better connect with you. Our management staff aims to provide the very best customer service in the industry. We treat our clients and tenants with respect, and we go the extra mile to ensure satisfaction. Not only is our team friendly and accessible, but we use our knowledge and expertise to resolve problems quickly for you. Many property owners find themselves discouraged after working with property managers who put the mighty dollar above all else. We offer a simple alternative to the cutthroat management techniques many others use. Our team provides honest, transparent service & we put your needs first. That's our commitment to you. "Being many states away it takes a lot of trust to put someone else in charge of your investment. Jon has done a fantastic job of that. His maintenance crew are fast and the pricing isn't bad. At times I may become confused about certain aspects of the owner side of renting my house; Jon is quick to educate me and makes me feel comfortable, as well as ensuring me I am not a thorn in his side. Communication is key, and Jon has that and a lot more. His business is thriving due to the fantastic way it is managed. I will be his customer many years to come." "I enlisted Jon's help a year ago. At that time I was at my wit's end with managing my rental property. This year has been completely different. Jon has taken control of the property and it's been great! He is professional, attentive and dependable. I haven't had an issue that he has not resolved for me. I wish I had met him A LOT sooner!" Discover the rental value of your home. Learn if your home fits our portfolio. When it comes to Kentwood rental homes, nobody beats our expertise. 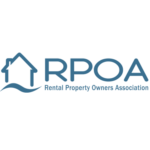 If you own rentals in Grand Rapids or the surrounding area, working with a professional property management offers a powerful alternative to trying to keep your home profitable solo. At Simple Property Management, we take care of all of the little details for you. From finding the right tenant for your property to answering repair requests, processing monthly bills, and resolving conflicts amicably, we represent your home as if it were our own. 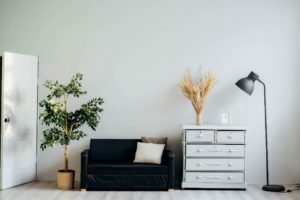 Our approach to Grand Rapids property management is simple: we work tirelessly to get the best results for your home and we treat you like a full-fledged business partner. Our team understands that your success is paramount, and we tweak our management solutions as necessary to make certain you meet your financial goals. Learn today how our property management packages could help take your home to the next level.